Jazmyne Geis is an interdisciplinary artist combining her backgrounds in visual art, design and performance to create engaging globally oriented bodies of work that re-identify our relationship to environment and support the voice of the natural world. Her homeland, the Hawaiian Islands, inspire her creative work — nestled in her heart, passion and expression. She earned a BA in anthropology with a minor in dance from Colorado College, lived abroad in Germany for close to four years, and has recently returned back to Maui. 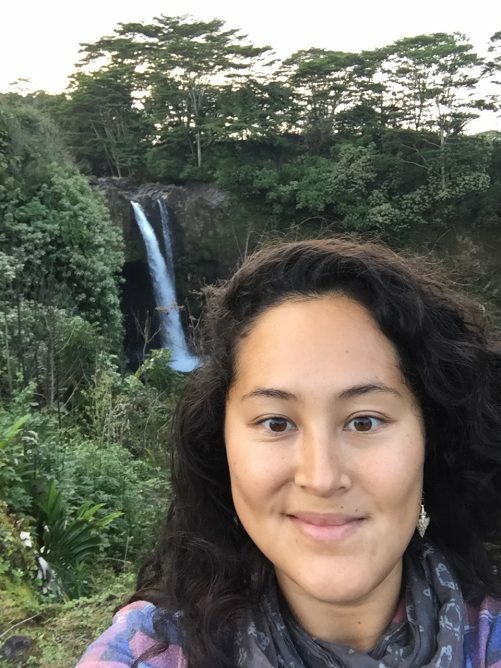 She is currently pursuing an MA in Sustainable Design alongside performing, running festivals on Maui, gardening, exploring, crafting, and scavenging for useful materials on her family’s land. Jazmyne is based in Hawai’i.